When you take YOUR falling blocks to the range. . .
Thread: When you take YOUR falling blocks to the range. . .
. . .do the Bubbas always gather around and ask: "Is that a .45-70?" My Pop gets this ALL. . .THE. . . TIME. Apparently, that's the only thing falling blocks have ever been chambered in. Kind of like when they watch you push a Boolit in throat with that tool and then put just a case in. They find out it's a 32-40 and then they look at the targets and usually just walk away. those kinda comments are just outta ignorance, typically by the ar15/glock folks. a good time to educate them and perhaps spark an interest in them thinking about coming over to the dark powder side for a change of pace. My favorite was when I went to the range with a friend. We were setting up side by side, me with a Rolling Block 45-70 and him with a 1885 High Wall 38-55. A guy walked up to my bench, looked at my lubed BP cartridges next to my red PC smokeless cartridges, and said "My God, WHAT IS THAT? ARE THEY EXPLOSIVE?" My friend laughed so hard he fell off his seat. Hay! I'm a glock guy! And a muzzle loader. I love the holy black. Used to have a muzzle loading only shop. Now I could care less about ARs, even though i did buy a customer's lower and made a pistol. By the way those diapered boolits look very well done. Well at least they're paying attention and noticed the falling block action. When folks ask what we're doing at the range, we often reply "Weird Science". We think some of the highest praise we ever received was "Everything you guys DO is weird!" Would have been better if he kept a straight face and said "Nah. I got them from the Porsche dealership. Guy said the red paint makes them go faster". I'd probably like to keep it that way." And I frequently end up fixing these same folk's AR-15's and Glocks. . . I love the look on their faces when I start telling them about my M78/81 Swiss. 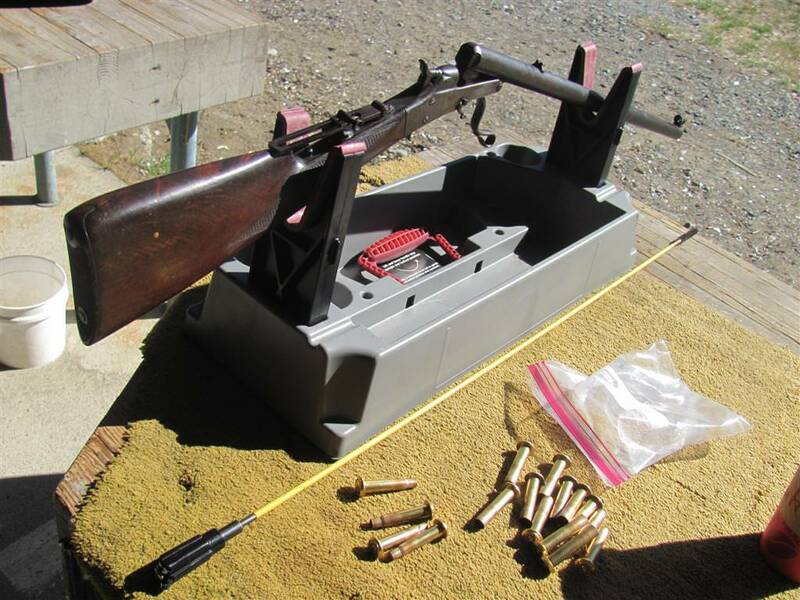 How the brass gets made and how the gun has to be converted to centerfire. Their eyes get crossed and they walk away. Priceless. It sound like the ones you talk about cast boolits and all they say is you are leading up your barrel and I look at them odd that they did not know what they are talking about. Those Paper Patched bullets get a lot of stares and questions. I shoot them in 45-90, 45-70 and 40-65, haven't tried them yet in 38-55 do to lack of mould. Sotting on the bench they get long looks from newer shooters and some older ones also. 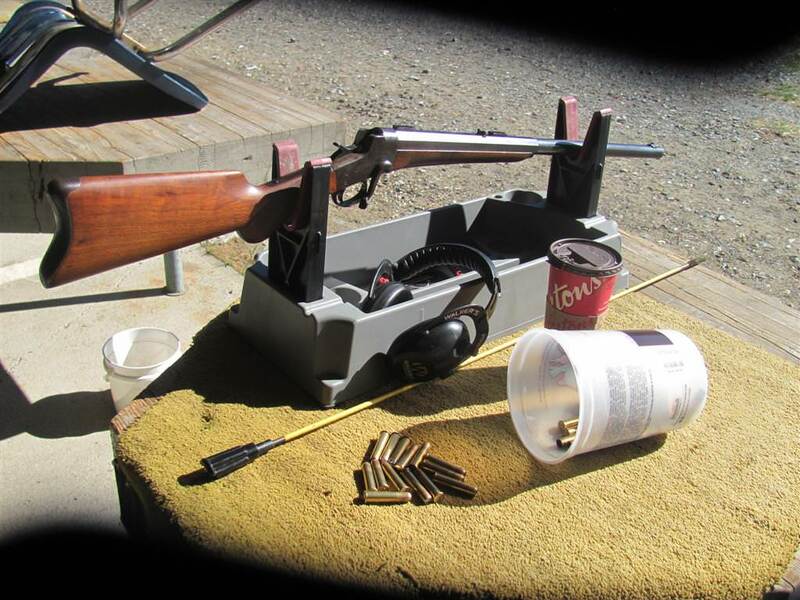 I had the 45-90 out a few years ago shooting the clubs gongs with a PP load using a 535 grn bullet. The 6: gong was ringing every shot at 200 yds and paint was disappearing fast on it. A younger guy came down while I was cleaning between strings and seriously told me I had to stop shooting I was damaging the rifle. ( C Sharp's Hepburn fancy wood pewter fore end tip. 34" barrel) I liked up and ask What?. 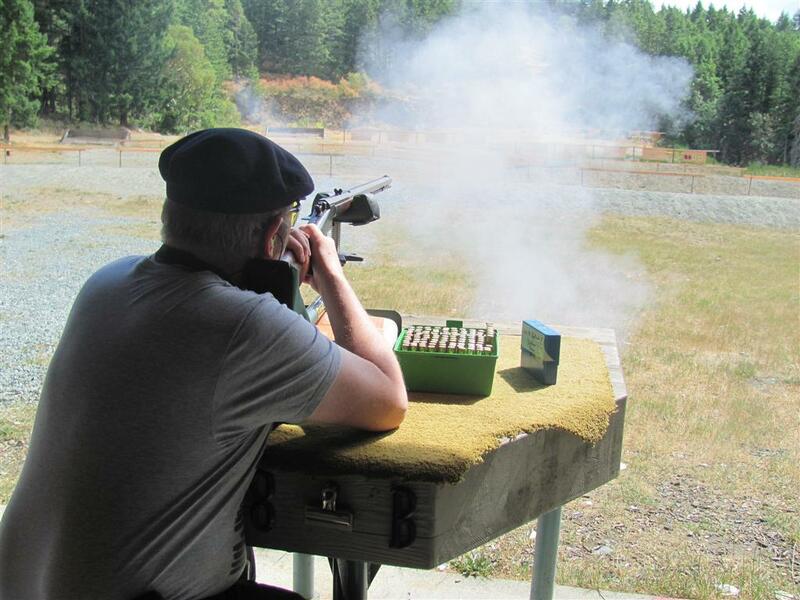 He then told me I had way to much smoke and something was fluttering around the muzzle when I fired. I explained to him I was shooting Black Powder and Paper Patched bullets, pulled an bullet and showed it to him. I explained that the charge of real BP produced more smoke and the stuff fluttering was the confetti and under wrap of the PP bullet. We discussed them for a little while while I finished cleaning. I then asked if he would like to try it out ( not often you get a chance to shoot a reproduction of history with correct ammo for free). He sat down and fired 10 rounds hitting that 6" gong 7 times. A few weeks later I ran into him again at the club and he told me he had ordered a C Sharps Hepburn in 45-70. Worked with him casting wrapping and loading while he waited for the rifle to get done and arrive. I don't think He's ever fired a grease groove bullet thru that rifle. They do attract attention, The rifles, the ammo, the equipment used with them. All are different from what's considered "normal" now it catches peoples eye. Last edited by GOPHER SLAYER; 01-19-2019 at 03:39 PM. Last edited by Reverend Al; 01-19-2019 at 11:03 PM. When I take my BP guns out....I usually take several, and take plenty of cartridges, and generally don't plan to get much serious shooting done. I enjoy sharing them, particularly with the kids if any are around. The trapdoor, Peabody and Werndl are usually the favorites. I can't say as I've ever been asked if one of my old single shots is a .45-70? I have been asked what caliber, and then shortly after telling them I get, "Where do you buy those?" 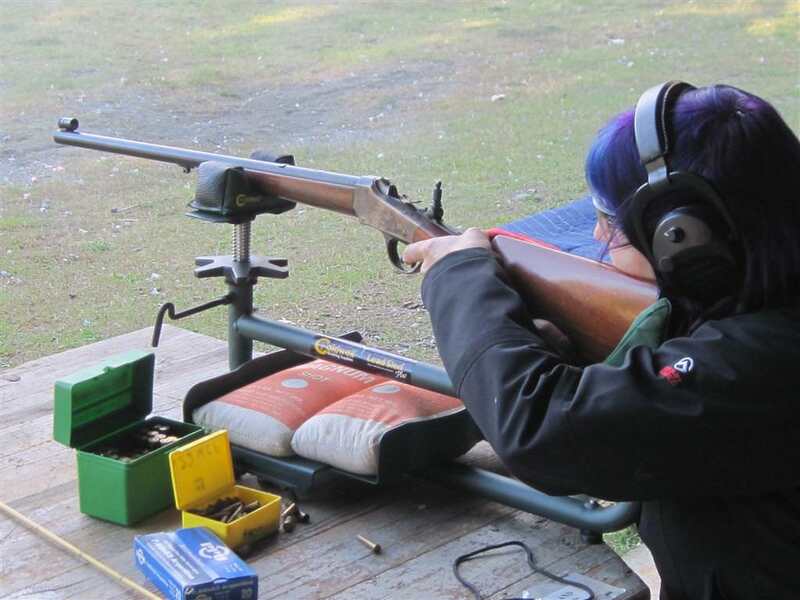 Sometimes a fine old schuetzen rifle will really get puzzled looks since they look like some 1800's version of a space gun, and someone wants to know why they look this way, and how do you shoot them? When you say things like .44-77 Sharps Bottleneck, .40-85 Ballard Everlasting, .40-50 Sharps Straight, etc., etc., I can guarantee it gets puzzled looks. And if I start telling them the steps to making a certain cartridge from another case, it usually ends up with someone telling me it sounds like a lot of work. But when I offer to let one of them shoot an old single shot, and they experience how accurate they are, and how mild the recoil is, they usually ask where they can get one, and what they cost? 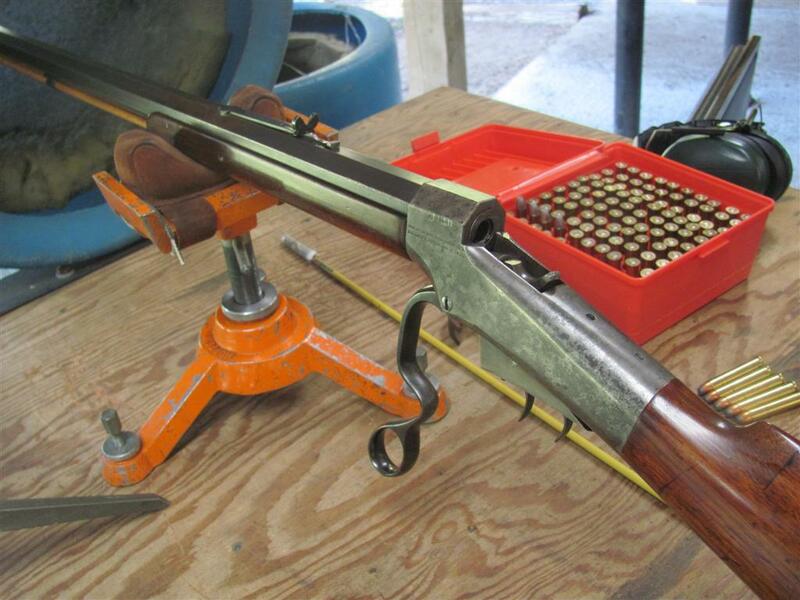 It's actually a lot of fun answering questions on old single shot rifles, and cartridges. But it can occasionally end up cutting into my range time pretty severely! I try to get to the range early, and plan on a day. If nobody is there I can finish up in about 4 hours. If there are other shooters, I might be there 8 hrs. to get the 4 hrs. of shooting in. But it's OK, as I really do enjoy introducing folks to these old guns we love. And for Big Slug. Not all single shot rifles are "falling blocks". Some are rolling blocks, some dropping blocks, some pivoting blocks, and some tip ups. Last edited by jonp; 01-20-2019 at 03:14 PM. I've a Shiloh Sharps with a Malcolm style telescopic in 45/70 and most are quite fascinated by the size of the rifle and the cartridges. Don't have the patients to use black powder on it but most are very impressed they watch a 535 gr bullet bounce 5 gallon buckets 6-10 feet in the air.